FFA - CAIR scolds judge for removing Muslim woman from courtroom who would not take off her hijab to comply with court dress code. 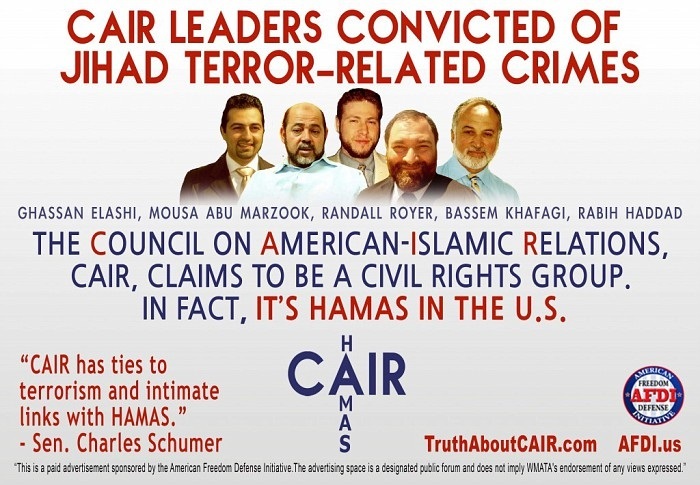 (WASHINGTON, D.C., 4/28/16) The Council on American-Islamic Relations (CAIR), the nation's largest Muslim civil rights and advocacy organization, today called on a Louisiana judge to ensure that the recent removal of a Muslim woman from court because she wears an Islamic head scarf, or hijab, not be repeated. CAIR said the Muslim woman, who does not want to be identified, says she removed from Jefferson Parish Traffic Court on Tuesday after a bailiff asked her to remove her hijab and she refused. The woman stated: "I started to cry because I felt so embarrassed and humiliated." Judge Raylyn Beevers, who admitted that she asked the Muslim woman to leave the courtroom, now says she did not realize the head covering was worn for religious reasons. "Media reports indicate that you did not realize at the time that her hijab was worn for religious reasons. In the wake of this incident, we express our hope that such a clear violation of constitutional rights will never be repeated and that existing policy (General Courtroom Conduct Rule 6.1) protecting those wearing religious attire be explained to and implemented by all courtroom staff." Judge Beevers says she was following courtroom procedure when the woman was asked to wait outside the courtroom while the situation was being investigated, citing General Courtroom Conduct Rule 6.1. "When a person is wearing a hat, knit cap, scarf, skull cap, curler cap, any non-recognizable religious item, etc. they are asked to remove these items... If the person does not want to remove the item, in lieu of stopping court for the Judge to question the person, in Division 'B,' the bailiff requests that the person wait in the upstairs lobby and speak with the Judicial Administrator." The woman says she declined to remove the head covering for religious reasons. She says she was then escorted outside the courtroom, and asked to wait. She says she waited almost an hour until her name was called. However, the hijab, which lacks specific derivation from the Qur'an, is a symbol of oppression that is pushed by Islamist extremists. The hijab is a symbol of oppression that is fostered by strict adherents of Sharia law which is antithetical to the rights afforded under the United States Constitution. Wearing a hijab is clearly driven by culture and custom and is not a religious requirement. However, Islamists who want to Islamize America instead of assimilate into American culture are pushing these Sharia style customs. Florida Family Association has prepared an email for you to send to show support to Judge Raylyn Beevers during CAIR's scolding.